BELGRADE, Serbia (AP) — Serbia’s prime minister-designate said Monday that his new government will include an openly gay minister for the first time in the conservative Balkan country. 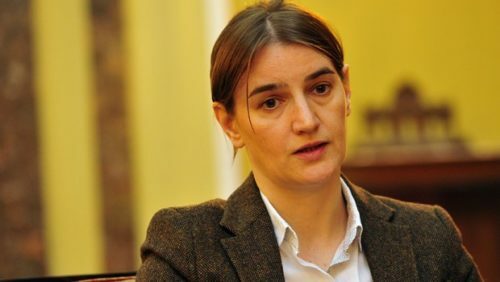 Aleksandar Vucic said his future Public Administration Minister Ana Brnabic does not hide her sexual orientation. He says he is aware it may draw public attention in a country where gays often face harassment. A gay rights group hailed Vucic’s move, describing it as a “historic moment in Serbia and a huge step in building a society of equal chances.” The Gay Straight Alliance group added that political inclusion of gay people is important for reducing discrimination and promoting tolerance. Vucic’s center-right government is expected to be voted into office by the end of this week, more than three months after the April 24 snap election. Serbia has pledged to boost gay rights as it seeks to join the European Union. Gay marches in the past few years were held under police protection because of threats from extremists.